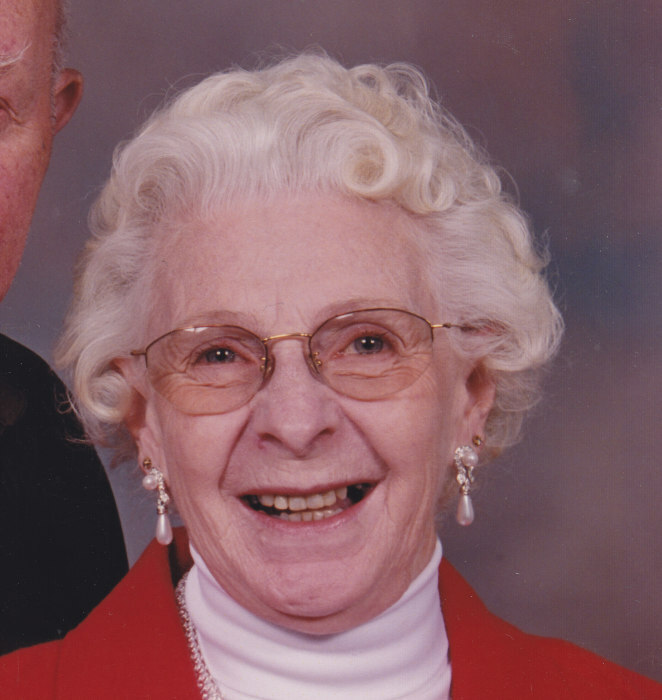 Lucille Gladys Ellefson, age 88 passed away on Friday morning, August 10, 2018 at the Vernon Manor Nursing Home in Viroqua. She was born on August 25, 1929 in Seneca, WI. to Albert and Cora (Berquest) Springer. She was baptized at the Bethany Lutheran Church in Esofea and again on March 15, 1992 at the Viroqua Church of Christ where she currently was a faithful member. She attended rural country school and on April 16, 1947 she married Julius Ellefson. They farmed in Vernon County raising tobacco and milking cows. They moved into Viroqua in 1986. Julius died on January 9, 2007. She worked at the Bethel Home in the Helping Hands program, worked at Hidden Treasure, was had been coordinator for R.S.V.P. She enjoyed dancing and had many friends at the Concordia Dance Hall in La Crosse. She was also a long time member of the Western Wisconsin Country Music Association. Lucille is survived by one son, Gerald Bonsack of Onalaska, a grandson, Jaxon Bonsack, two special nieces, Judy Blackburn of Viroqua, Carol Lewis of Black River Falls, other relatives and many friends. She was also preceded in death by three brothers; Carlyle, Alvin, and Herbert Springer, and five sisters; Ethel Clark, Helen Urbanek, Mabel Jenson, Arlyle Bjornstad, and Doris Marshall. Funeral services will be held at noon on Wednesday, August 15th, 2018 at the Thorson Funeral Home in Viroqua with Pastor Andrew Pratt officiating. Burial will be in the Belgium Ridge Cemetery at rural Viroqua. Friends may call at the funeral home after 11 a.m. on Wednesday. Online condolences may be left for the family at www.thorsonfuneralhome.com. The family suggests memorials to either the Driftless Humane Society in Viroqua or the Vernon County Historical Society.